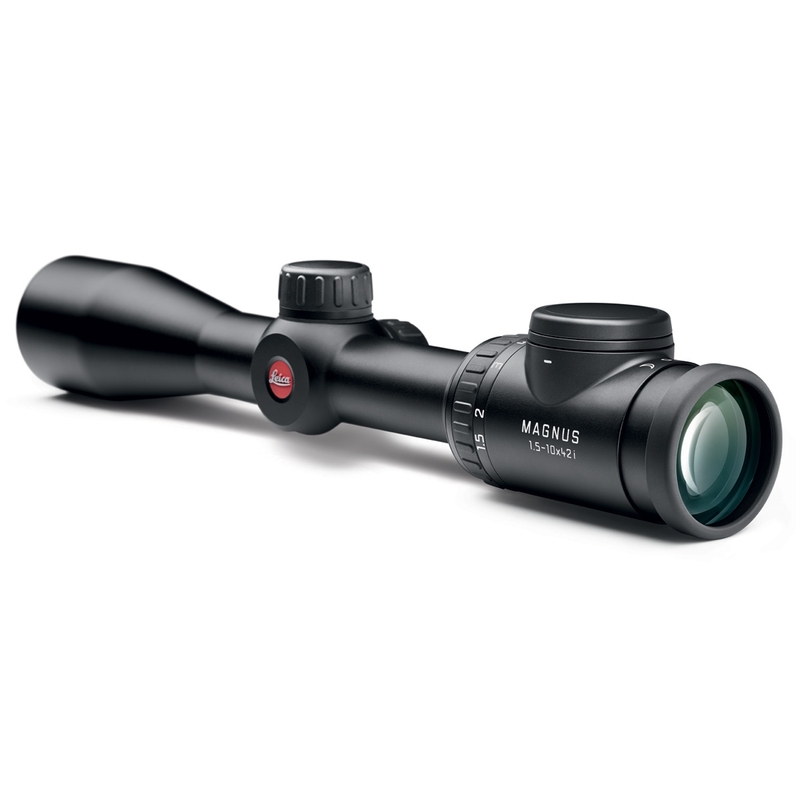 Leica Magnus i 1.5-10x42 IR Rifle Scope. Thanks to its 6.7-fold zoom factor, the Magnus 1.5-10x42 i is as multi-faceted as hunting itself. 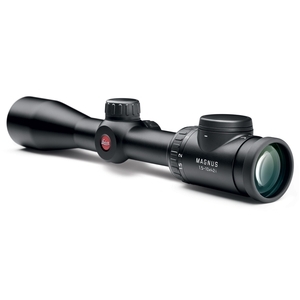 This riflescope is a universal all-rounder for stalking, shooting from blinds or driven hunts, at close or long range, and offers maximum versatility and superior accuracy in every hunting situation. The crisply displayed red dot and extremely fine graduation of its brightness settings guarantee protection against flaring and halo effects around its edges. With its outstanding zoom range, brilliant low-light performance, and excellent transmission, this rugged and enduring riflescope impresses in every hunting situation.